The UK Government is intending to introduce new subsidies for energy which they class as renewable, these proposed subsidies are called “Contracts for Difference”. 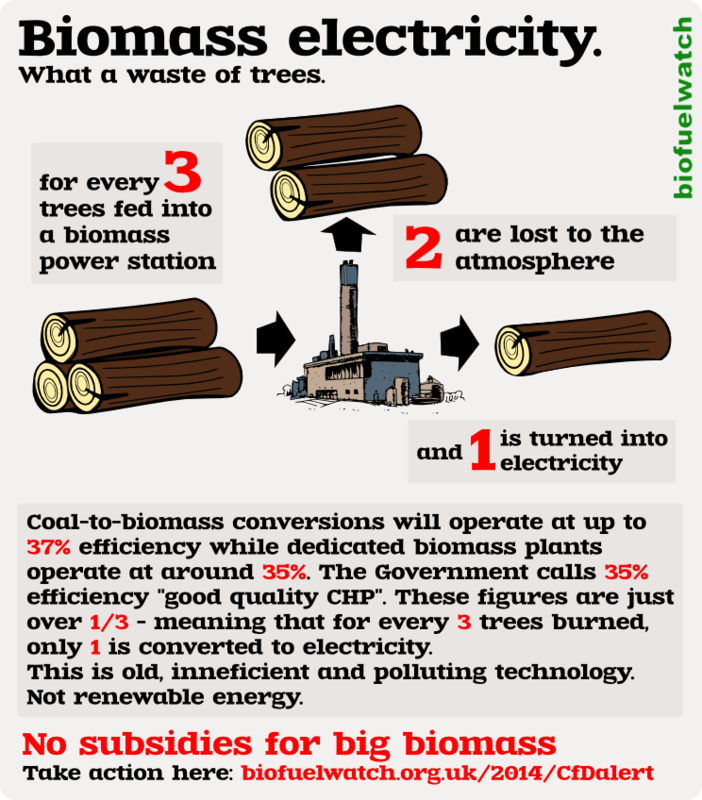 Their subsidy rules and proposals would be a major boost for power stations that burn large amounts of mainly imported wood. Most of the UK’s wood imports for power stations come from the southern US and British Columbia, in both regions, highly bio-diverse and carbon-rich forests are being rapidly clearcut, a trend which will be made worse by the new demand for wood pellets. The wood Pellets which are used at the Drax power station, for example, have been directly linked to the destruction of ancient swamp-forests in North Carolina, one of the world’s most diverse freshwater habitats. Yet the UK Government continues to ignore all of the mounting evidence that large-scale electricity from biomass is bad for the climate, for forests and for communities.